From Business Suits to Casual Dress: What Should Business Professionals Be Wearing? Decades ago when you thought of a businessman, what were the first thoughts that popped into your head? If you thought business suits, that is not the case anymore! Business professionals in formal business attire. Over the past decade, some well-known companies have made casual Fridays into an everyday event where employees are allowed to choose their work attire, whether it is jeans and a t-shirt or a business suit. An astonishing 43% of workers who were interviewed stated that they wore casual business attire to work on a regular basis, which is up 32% since 2002 (Spitznagel). What does this mean for business executives and how are they responding? Companies are hiring image consultants and fashion experts to teach their employees how to dress fashionably and appropriately. “American society has become so ridiculously casual,” says Clinton Kelly, co-host of the Learning Channel’s What Not to Wear . On the hit CBS network show NCIS, a character named Abby works in a professional environment but always wears gothic-like clothes to work. 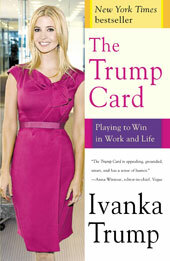 She also consistently cracks cases and goes above and beyond what she is assigned. Is it appropriate for her to wear these outfits in such an office setting? Should young adults today have this option? Abby from CBS's hit show NCIS. Recent college graduates are entering the workplace not knowing the difference between formal business attire, business casual or just casual. In the workforce today, 90% of employees do not know the difference or distinction between the different kinds of dress. By putting dress codes into employees’ hands, General Electric tries to be distinct in the different levels of dress allowed in the workplace. “Companies such as General Electric (GE) force them to make these distinctions every day by asking that they ‘use good, professional judgment,’ as GE puts it” (Spitznagel). When it comes down to it, businessmen don power suits to “look the part” of a businessman, in addition to being an actual businessman. For businesswomen, the business attire options are much greater, from the female version of the power suit to skirts and sweater sets. Of course, this leaves room for many fashion faux pas at work and blurs the line of appropriate dress for women. The answer to the question of how one should dress in the workplace is different for everyone. In order to determine what is appropriate dress, employees should consider the workplace culture. Still confused about what to wear? Take a look around the office. What is everyone else wearing? If all else fails, ask the boss. Knowing how to dress appropriately, comfortably, and fashionably is important in today’s working environment. The most important thing to keep in mind is that how you look says a lot; people will judge you based on your appearance. Also important is dressing to fit the culture of your clients. If you understand the circumstances of how business works, you understand that perception is reality. Celebrity Endorsements: Risky Business or Rewarding Endeavor? When you think about Oreos, what comes to mind? America’s favorite cookie? Check. Glass of milk? Most definitely. Shaquille O’Neal? Not so much. Well, Kraft Foods begs to differ. Just last week, Kraft released a 30-second commercial in which Shaq is teamed with Eli Manning, Venus Williams, and Apolo Ohno to defeat the mysterious “hooded menace” who threatens to overtake the affectionately termed Double Stuf Racing League (DSRL). Companies recognize the risk that comes with choosing the celebrity-endorsement approach; many have learned the hard way that it becomes a reflection of their brand. Putting a face to a name makes the brand recognizable; more so when that face is famous. According to Anita Elberse, associate professor at Harvard Business School, some companies have seen their stock increase by .25% on the day an endorsement deal was announced. That doesn’t mean that every brand needs a celebrity-endorser; it has to be relevant to both the brand and the consumer. However, celebrity endorsement is always worth investing in if you have the right person. 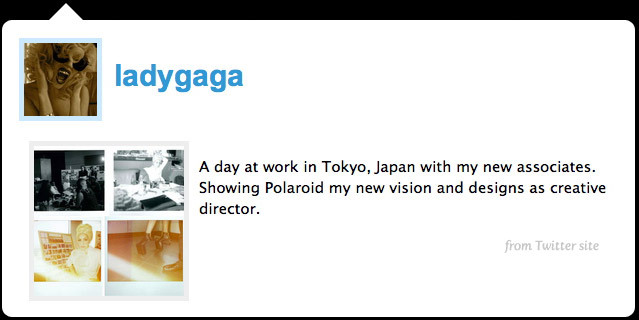 International pop star Lady Gaga is set to revive the instant camera for Polaroid as its Chief Creative Officer. Teen singing sensation Justin Bieber lends his famous hair and unblemished face to Proactiv. New England Patriots Quarterback Tom Brady relies on Smart Water when hitting the gym to train for (hopefully) another Super Bowl appearance. According to marketing research firm Millward Brown, U.S. celebrities show up in more than 15% of advertisements. Not all of the appearances are in front of the camera, mind you. Sometimes, all a celebrity needs to do is be seen toting around a product or updating their Twitter account with a simple 140-character tweet. American socialite Kim Kardashian spotted with an exclusive Hermès Birkin bag. 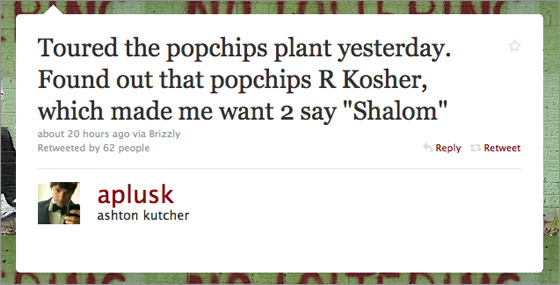 That 70’s Show actor Ashton Kutcher tweeted behind-the-scenes details about Popchips (snack food item). Celebrities generate gossip and gossip requires word-of-mouth communication. If consumers are talking about a celebrity and can link him or her back to a brand, the emotional connection or self-expressive benefit that consumers feel for / towards the celebrity is transferred onto that brand. As you can see, this is 50/50 chance that marketers must gamble on. When a celebrity behaves (Shaq), the brand (Oreo) does well. But, in the case of celebrity misbehavior (*cough* Tiger Woods *cough*), the brand (Accenture, Nike, Tag Heuer) suffers. With that said, reports show that celebrities still push products. But the question that marketers need to ask of consumers is: Would you buy a product based on a celebrity endorsement? iPhone vs. Android: Which Phone Should You Choose? The first day the iPhone went on sale, the advertising campaign’s outcome proved strong with thousands of people from across the country waiting patiently for hours outside of Apple stores to be one of the first people to purchase this new piece of innovative technology. Since 2007, Apple has sold several million iPhones worldwide and has released new, upgraded versions as well. The 3GS iPhone came out in 2009 and this year, the iPhone 4G was released. The Android phone was introduced by Verizon in October of 2009 to compete with Apple’s iPhone. Google and Verizon collaborated to make a brand new phone, similar to the iPhone, with fast 3G network coverage in order for Verizon to compete with AT&T in the touch screen phone market. The Android, like the iPhone, is operated by a touch screen, internet accessible, email compatible and has thousands of different applications one can add to their phone. The advertising campaign Verizon used was very sharp, bold and to the point. The Motorola “iDon’t, Droid Does” campaign directly attacks the iPhone by stating all of its flaws, and then points out that the “Droid Does” do all of these things. These are extremely strong allegations that Verizon boldly states in their commercials, and as a result, Verizon has won over many consumers over the past 11 months. In the first 74 days, 1.05 million Motorola Droids were sold, exceeding the iPhone’s initial release sales numbers when it first came out in 2007. Another technique Verizon used to advertise the Android was institute the “Droid Does Times Square” campaign. People on the street were introduced to an interactive experience where a Droid was hooked up to the electronic billboards in Times Square, and by using the voice command feature, the Droid was able to control the huge billboards. This was extremely useful and productive; people became familiar with the new Verizon product and became excited for its release. Before deciding on whether the Droid or iPhone is right for you, it is important to take into consideration which network provides the best coverage. Verizon Wireless has the best coverage in the United States, while AT&T has received constant complaints about dropped calls and lack of service in some areas. However, since AT&T uses a standard phone service, the iPhone can be used globally and not just domestically. In 2007, AT&T had approximately 65 million wireless phone users where as today, it provides about 87 million people with wireless cell phone services. Verizon had 63.3 million users in 2007 and now has 92.8 million users, approximately six (6) million more than AT&T. (Cox, Network World) Verizon is the leader in the United States wireless phone market ahead of AT&T. Now which phone will you choose? Will you pick the iPhone with the so-so AT&T service that has millions of different apps to choose from, or the Droid that is up and coming into the market and uses Verizon, which has the best coverage in the United States? Only time will tell which one of these companies will be the most successful in the long run, but the question is, which team will you play for?